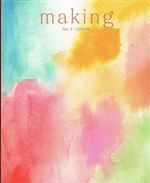 A bi-annual themed publication of projects for knitters & makers. The act of making helps to connect us to the past, present & future. All these connections are equally important & help to bring meaning & value to the beauty & utility we make.